Archaeology of complex societies; study of burial practices through the ages; iconography and religion in archaeology, Eastern North America. Jim Brown is an archaeologist with broad interests in the aboriginal cultures of the North America, past and present. His research has been directed towards detailed examination of social and cultural complexity in the Eastern Woodlands of North America. Critical to this endeavor has been an effort to move the archaeological debate from typically parochial concerns to a globally based framework that allows the archaeological record of the Eastern Woodlands to be examined cross-culturally. Currently, he has been concentrating on religious and social changes over the past 1000 years. Iconography has been employed as a route to the study of religion, canonical representation and craft specialization. He is a recipient of grants and fellowships from the National Science Foundation, National Endowment for the Humanities, National Park Service and various state agencies. Major research projects have involved the Spiro Mounds (Mississippian Period, OK), Mound City (Hopewell Period, OH), Koster site (Archaic Period, IL), and Cahokia (Mississippian Period, IL) as well as with fieldwork in historical archaeology at Ft. Michilimackinac (MI), and the Grand Village of the Kaskaskia (Zimmerman) (IL). His books include The Spiro Ceremonial Center: The Archaeology of Arkansas Valley Caddoan Culture in Eastern Oklahoma (1996); the six-volume Pre-Columbian Shell Engravings from Craig Mound at Spiro, Oklahoma. (1975-83) (co-authored with Philip Phillips); Ancient Art of the American Woodland Indians (co-authored with D. S. Brose and D. W. Penney) (1985), an edited memoir, Approaches to the Social Dimensions of Mortuary Practices. (1971); a co-edited book (with T. D. Price), Prehistoric Hunters and Gatherers: The Emergence of Cultural Complexity (1985), and other co-edited works. He has served a Chair of the Department of Anthropology (1989-1995). He serves on the board of directors of the Center for American Archeology (Kampsville), and has served as commissioner of the Illinois and Michigan Canal National Heritage Corridor Commission, the Board of directors of the Illinois State Museum (including chairman of the board). 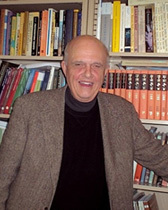 Holder of the 1999 Distinguished Service Award from the Society for American Archaeology, and the Clarence L. Ver Steeg Graduate Faculty Award (2004). He is a member of the Registry of Professional Archaeologists (RPA) and a Certified Professional Archaeologist in Illinois. Eight years of fieldwork is under way at the World Heritage site of Cahokia to settle key issues that have plagued our understanding of critical transformations that have taken place at this site. Excavation under the project direction of Dr. John E. Kelly of Washington University at St. Louis entails redocumentation of the context of ‘high-end’ craftwork in marine shell and native copper that was uncovered by 1950s excavations into Mound 34. The project focuses on documenting with greater precision the context and dating of the famous engraved marine shell pieces found there. They are important in fixing the cultural context of craft specialization that burst into the archaeological record around 1200 C.E. The result was the art form known by the name of the Southeastern Ceremonial Complex. The time is one in which change towards greater complexity was taking place in Cahokian society. This research has demystified the Southeastern Ceremonial Complex and has made it more intelligible from a cross-cultural perspective by relating it to political, religious and economic changes taking place at the site. 101 Freshman Seminar – Who Owns the Past?